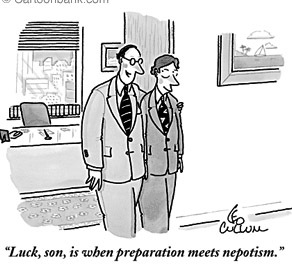 We’re all fairly used to the fact that the toffs and the upper middle classes have always openly used nepotism as a simple method to get on and up the career ladder. A little helping hand from daddy at appropriate times is little more than a very English interpretation of meritocracy in influential professions such as the law, journalism and politics. But in Bristol we now find these methods are being embraced by those good ol’ honest sons of the soil – the trades union movement. Which rather goes to show what happens to an organisation when the ambitious middle classes take over and ‘professionalise’ it. Over the weekend the T&G delivered leaflets across the Southville ward of the city calling on voters to ‘Don’t Vote Green’ because they are letting down Home Care workers whose jobs are currently threatened by privatisation. There is an element of truth in this. Southville’s Green councillor – the only one in Bristol – Charlie Bolton has been all over the place on this issue claiming to support the home care workers and then proceeding to abstain on a crucial vote at the Council House where he could have supported them. But whilst Bolton and the Green Party deserve to be condemned out of hand for their cynical electioneering over home care – claiming to support the workers at election time whilst opting out of votes to support them. The T&G’s actions are still very mysterious. The purpose of their leaflets is quite transparent. It’s a means of supporting the Labour Party at these elections whilst – rather usefully for the Labour Party – the cost of the leaflets and their delivery is not considered part of their election expenses. Nothing unusual in this you probably think. The close relationship between the Bristol Labour Party and the T&G has been in place for years . It’s well-known that senior Labour councillors like Peter Hammond, John Bees and Helen Holland have been propped up and financially supported by the T&G for years. Moreover if the T&G wishes to use its members’ money to financially back people who, when in power, persistently privatised their members’ jobs – and who even introduced the blueprint for the wholesale privatisation of social services in the city that the Lib dems are following – that’s between them and their members. However you do have to wonder what the purpose of attacking the Green Party is. Home care privatisation is being forced through by the Lib Dem administration running the city. The Greens have one councillor. Their views are irrelevant. Shouldn’t the T&G be attacking the Lib Dems at these elections? Admittedly T&G leaflets have gone out in Easton where the head of social services and privatiser-in-chief John Kiely is attempting to hold his seat. But why no T&G leaflets in Lawrence Hill where Labour can challenge the Lib Dems? Or Filwood? Or Windmill Hill? Or Knowle? Why no leaflet for Clifton where the Lib Dem leader Barbara Janke is up for election? Well. One answer might be that the Labour candidate for Southville is Sean Beynon. And it just so happens that Sean’s daddy is Alun Beynon, the T&G Deputy Regional Secretary for Bristol and a key trades union player in the home care workers’ campaign. Isn’t it convenient for Sean that daddy got some leaflets printed and distributed at T&G’s members’ expense for the very ward he’s standing in? Isn’t it convenient for Sean that these leaflets support him in one of the tightest election fights in the city? And isn’t it convenient for Sean that they should tell voters not to vote for his nearest rivals – the Greens? And isn’t it convenient that the T&G suddenly thinks it’s more important to attack the Greens over home care privatisation than the Lib Dems? 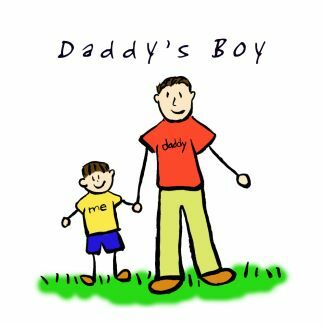 The Bristol Blogger intends to keep a very close eye on Sean “Daddy’s Boy” Beynon should he win on Thursday and thanks to daddy and his access to his union members’ funds he might well do so. One member’s already written expressing his disgust. This entry was posted in Bristol, Green Party, Labour Party, Lib Dems, Local elections 2007, Southville, Trade Unionism. Bookmark the permalink. Actually, I’ve received a homecare leaflet in Hengrove, asking me not to vote Lib Dem. This is a Lib/Con marginal seat where the Lib majority is just 69 over the Tories. The obvious intent here is that the T&G leaflet is designed to give the seat to the Tories. I am stunned that the T&G (and even the Labour Party) would rather that the Tories grew on the Council and took seats off the Liberals. I guess some people have very short memories of what it is like when Tories are in control of things. After all, when the Liberals lose control of the Council in a few years (everyone loses, in time) it will be to the Tories, not Labour, given the state Labour are in and the Tory recovery. But as you say, this seems to be more about the ambitions of middle-class NuLab types who have infiltrated the set-up, and who have more in common with Cameron’s Tories than they do with progressives of any kind – even Liberals. These Labour lies have gone out in Whitchurch Park as well, in a desperate attempt to shore up Helen Holland’s failing bid for re-election. Given that Labour privatised home care in Bristol back in 2005, it’s more than a bit rich to suggest they’ve now realised the error of their ways. the last three posts i could not agree with you more its bebeen going on for years from up the top right down to the middle. is that johnny smith from knowle west wiv yer christian at the back of creswick by donny mitchell is it? 69 queries in 1.405 seconds.